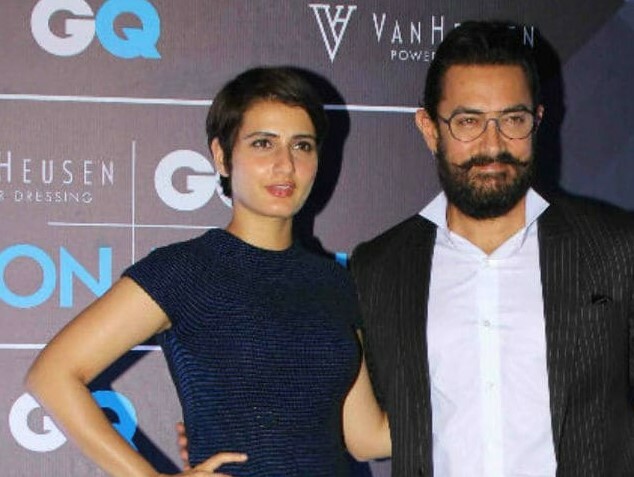 Fatima Sana Shaikh Speaks On Link Ups Rumors Relationship With Aamir Khan: The news of Fatima Sana Sheikh and Aamir Khan affair is in news from the film 'Dangal', which is a grand debut in Bollywood, is being discussed in a very long time. Although both the stars have never said anything on this matter, recently Fatima broke the silence on the issue. In an interview when asked about Fatima's growing proximity and affair with Aamir, he said, 'It is very strange. Once my mother was watching TV and she showed me that my photo was coming to the TV. I was quite disturbed by seeing the kind of news is on the channel. It was time I felt that I need to explain myself first. But now I do not feel like this Now I do not feel the need to explain to others. I think people will tell you about whatever you do. It is the work of people that they will speak. But that does not have to affect me. Please tell that Fatika's name has also been associated with Aamir and Aparshakti besides the ability to play his onscreen brother. Fatima said They are both very special people. I have no need to be impressed with the news of any kind of link-ups with them. You must know that Fatima has been seen in Aamir's film 'Dangal' and 'Thugs of Hindostan'.